On Thursday, May 4, 2017, the conference Fenomenologia come stile: Declinazioni del metodo fenomenologico in Italia e in Francia was held at Collegio Ghislieri in Pavia. This conference was funded by the Institut Français and the French Embassy to Italy, within the framework of an initiative aimed at enabling Italian doctoral students to organize cultural events in which young researchers, as well as Italian and French universities, are involved. While preparing the application to this fund, we decided to focus our attention on a specific aspect of phenomenology. The phenomenological method has been conceived and applied in manifold ways. We believe that tackling this method can become a useful way to clarify the similarities and differences between Italian and French philosophy. Rather than resembling a philosophical system, whose issues and method are fixed once and for all, Phenomenology consists of a style. In the preface of Phenomenology of Perception, Merleau-Ponty wrote that “Phenomenology can be practiced and identified as a manner or style of thinking, that it existed as a movement before arriving at complete awareness of itself as a philosophy”. He also added that “[i]f phenomenology was a movement before becoming a doctrine or a philosophical system, this was attributable neither to accident, nor to fraudulent intent. It is as painstaking as the works of Balzac, Proust, Valéry or Cézanne—by reason of the same kind of attentiveness and wonder, the same demand for awareness, the same will to seize the meaning of the world or of history as that meaning comes into being”. From this standpoint, we wanted to examine phenomenology as style, with the aim of elucidating the specificity of the reception of Husserl’s method in Italy. In this sense, we particularly emphasized the role played by the School of Milan – which is now the object of renewed interest – and by the French interpreters of Husserl. 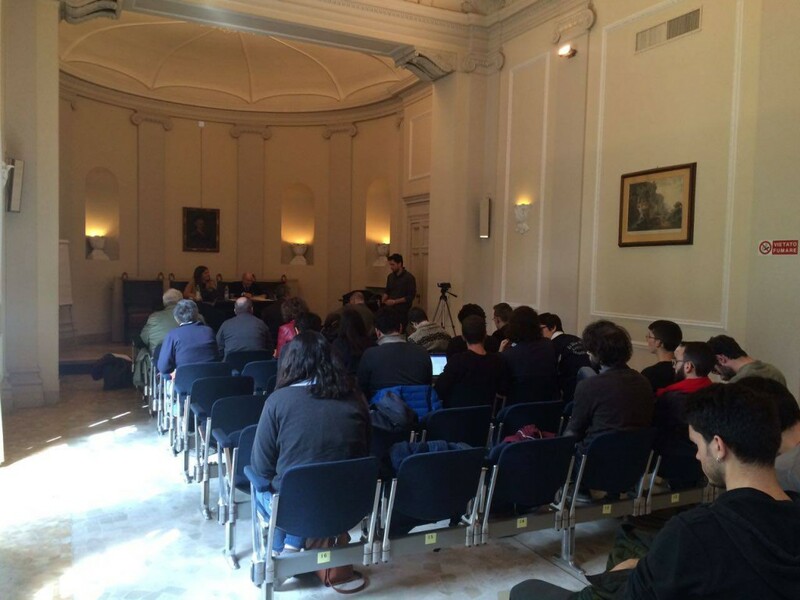 The conference program consisted of 4 speeches given by Fabrice Colonna, Claude Romano, Carlo Sini, and Luca Vanzago. On the Italian side, the attention was turned to the School of Milan and the “return to Husserl” that characterized the Italian philosophical debate between the 1940s and 60s. The speeches given by Carlo Sini and Luca Vanzago showed the relevance of Italian phenomenology with a special emphasis on the figure of Enzo Paci. Sini’s speech – Il luogo dell’incontro con il fenomeno [The place of encounter with the phenomenon] – which started the conference, focused on the notion of style in phenomenology, by investigating its methodological grounds. Where and how can we go back to things themselves? What is the proper place of phenomena? Starting from Husserl’s statement that the whole task of his life consisted in understanding the universal a priori of correlation, Sini underlined the centrality of relation for the phenomenological method. Phenomenology is nothing but the description of the relation between subject and givenness. However, two fundamental issues arise here, of which Husserl was well aware. These issues regard the linguistic and temporal aspects of existence. How can I suspend and describe something if everything is nothing but language – if the Western world, as Nietzsche argued, is nothing but a grammar? To answer this question, Sini interpreted the notions of historicity and of pre-scientific life as the very ground of phenomenology; as the real place in which the encounter with the phenomenon can happen. Praxis and metamorphosis has to become essential traits of phenomenology’s own style. This philosophical program was endorsed by Enzo Paci, of which Sini underlined the Goethean and Leibnizian inspirations. Paci’s philosophy consisted of a monadology and of a cosmology grounded on the subjective doxa, which he understood as a variation and an intertwining of maps that people use to orientate their experience within the world. Vanzago’s speech – entitled Tempo, evento, relazione. L’interpretazione di Enzo Paci della fenomenologia husserliana [Time, event, relation. Enzo Paci’s interpretation of Husserlian phenomenology] – was entirely devoted to the figure of Enzo Paci, and particularly to his interpretation of Edmund Husserl’s reflections upon the subjects of time, event, and relation. Vanzago underlined how the evenemential aspect of totality represents the highest point of Paci’s philosophical reflection. Being and appearing are not rigidly distinct, inasmuch as we mean by appearing a living presence that presents itself here and now to a cogito that Paci understands as a flowing monad, i.e. as a perception that is always absorbed into time. From this perspective, a negative theology emerges, of which Whitehead’s idea of perpetual perishing constitutes a fundamental component. In the conclusion of his speech, Vangazo examined the main characteristics of Paci’s ‘relationism’, and showed how both Whitehead and Husserl influenced it. The definition of subjectivity as event deserves particular attention. Phenomenology has to become a philosophy of life: it has to be grounded on relation and process, and must always maintain an element of negativity within itself. Negativity constitutes the authentic root of human subjectivity: a kind of negativity that is at the very core of Nature, and that therefore guarantees the continuity and emergence of what is human. On the French side, Fabrice Colonna focused his speech – entitled Phénoménologie expérimentale [Experimental phenomenology]– on Merleau-Ponty’s phenomenological style, and particularly on how this style was influenced by experimental studies of psychology. Finally, Claude Romano asked himself whether phenomenology can be actually defined as style. By addressing Merleau-Ponty’s experimental psychology, Romano showed how his phenomenology was essentially influenced by both Husserl’s method and Gestalt psychology. The centrality of perception for Merleau-Ponty stems from his refusal of defining conscience as a sort of flying over things and, consequently, from his search for a new method to think of the correlation between subject and experience. Colonna’s fundamental question concerned precisely the how of Merleau-Ponty’s phenomenology. For Merleau-Ponty, Husserl’s teaching is fundamental in order to understand how going back to phenomena can become possible. Nonetheless, the discoveries of Gestalt psychology are for him equally important to this purpose. The concept of variation, according to Merleau-Ponty, is closer to a “real” kind of variation, as it stems from scientific experiments, rather than to the eidetic – and thus imaginative – variation of Husserl. The laboratory experience does not lead to any physicalism, but allows one to revive the sleeping phenomena that otherwise would never become apparent, and would therefore always be overlooked. Moreover, Colonna showed that the meaning of this experimental phenomenology has been particularly developed in Italy, thanks for example to Paolo Bozzi and Franco Paracchini. An interesting analysis of the notion of style – understood as ontological variation – stemmed from these premises. Merleau-Ponty’s ontology has a dimensional character: it is grounded on levels and atmospheres, and for this reason it can help to develop a new and original description of what we perceive. Romano’s concluding speech – entitled La fenomenologia oltre lo stile? [Phenomenology beyond style?] – questioned phenomenology as a philosophical method. Is it possible to define phenomenology’s own style? What are its limits? Starting from Levinas’ definition of phenomenology as style, Romano highlighted the ambiguity of this notion. What do we mean exactly by ‘style’? Two opposite paths originate from this term. On the one hand, style can be understood as generality: as a gathering of characteristics on the basis of normative principles. On the other hand, style can be seen in terms of individuality, i.e., as something that allows one to determinate his or her own singularity. According to Romano, both these characterizations lead to an ambiguous definition of phenomenology as style, insofar as phenomenology does not correspond either to a canon or to a singularity. What would phenomenology be lacking, if we define it as style? In Romano’s view, phenomenology would lose its cognitive task: it would no more consist of a search for truth. How could we think then of essences and of their necessary character? The event was organized thanks to the support of the Ambassade de France en Italie. 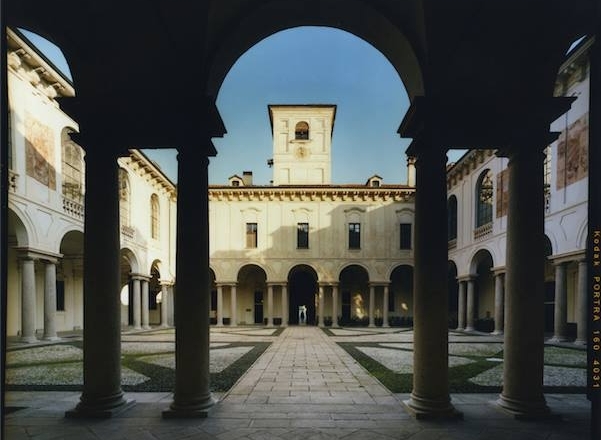 We would like to thank Collegio Ghislieri for the hospitality.